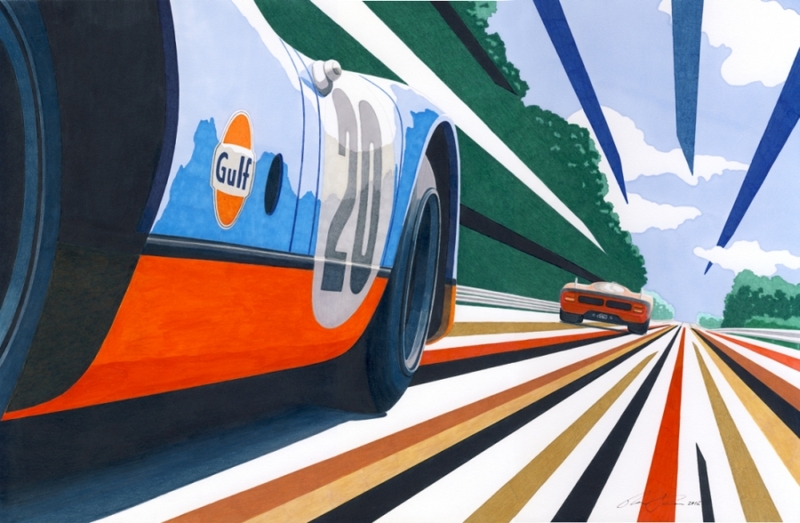 Steve Mcqueen is chasing Ferrari 512 Coda lunga down the Mulsanne straight. Eventually I plan on getting 3 various prints in similar large size. Please send all replies to my email. I can make large prints, but it would be expensive, (100+ euro) but i can send you a full size scanned image of the drawing, that you can then print at your local printers in any size you desire.